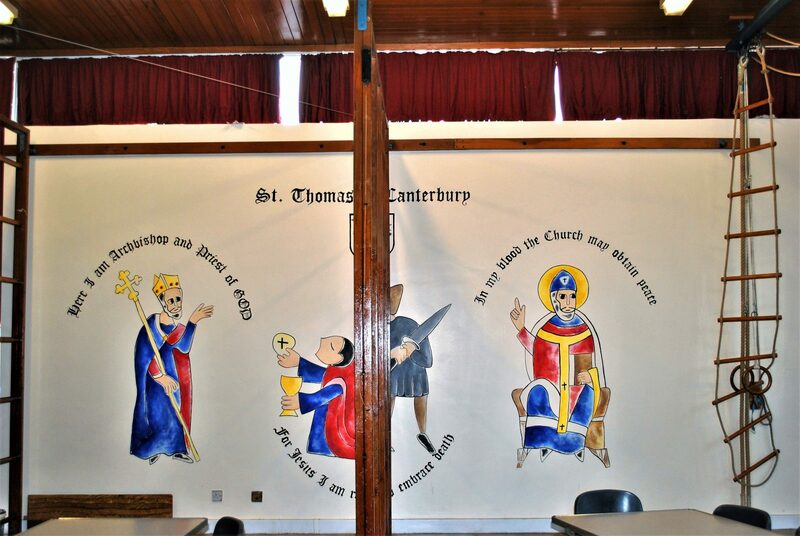 Please scroll through to view more of Helen’s hand painted School Murals. 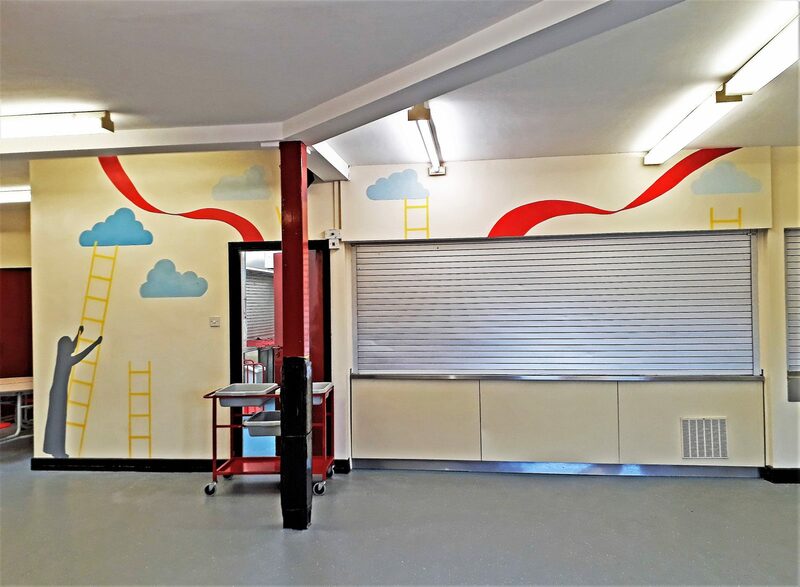 Helen Brady is an experienced mural artist who has painted wall murals for schools across the country. She has completed a variety of murals on either interior or exterior walls. 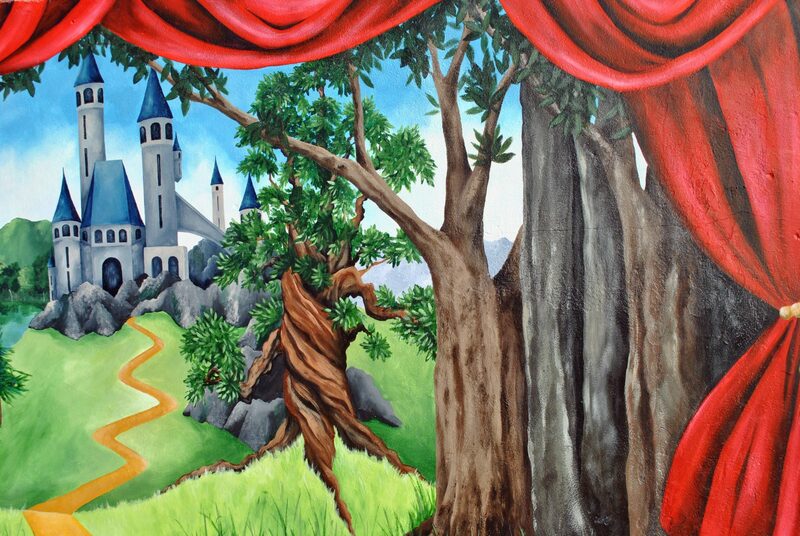 Helen has painted murals in school playgrounds, libraries and dining halls, in addition to works in changing rooms, sports halls and more. 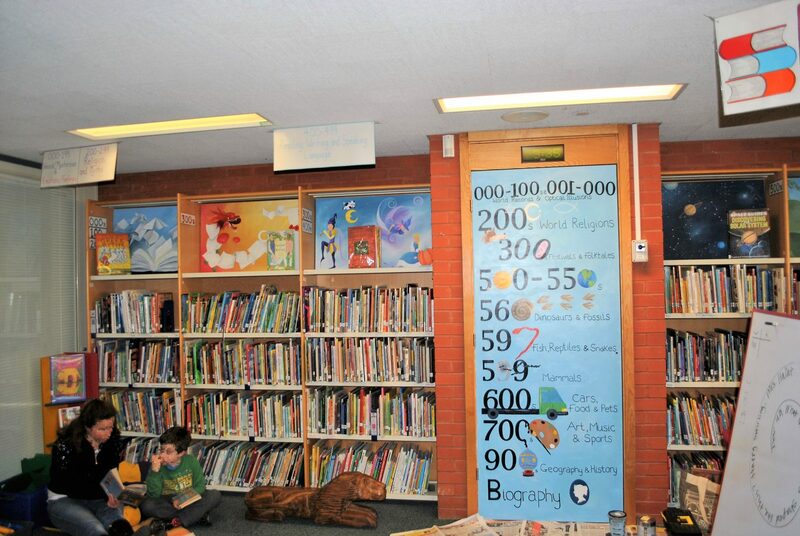 Hand painted murals are an unique way to decorate an interior or exterior space within your school. Brighten up a forgotten space such as a stairwell, hallway, bathrooms, cloakrooms or changing rooms. 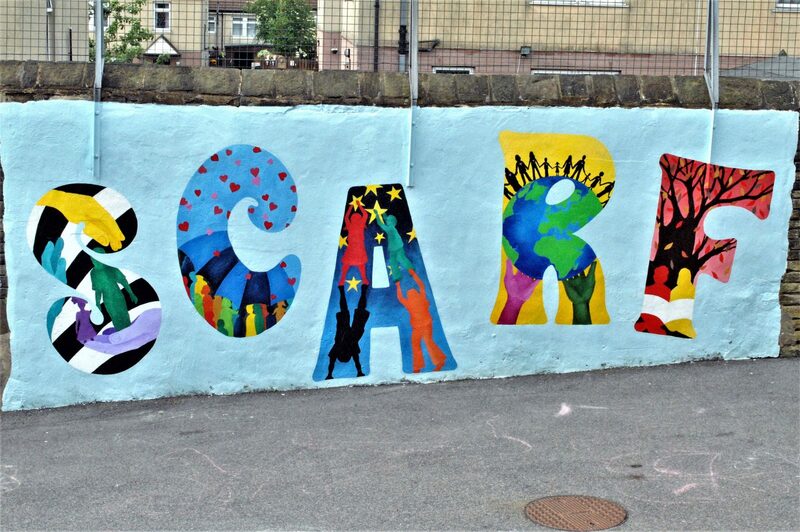 Use an exterior mural to transform a playground or a dull, forgotten corner of your school grounds. Unlike printed wall murals, which are often selected from a tired stock of images and which offer many restrictions, a hand-painted mural is tailor-made for any space. 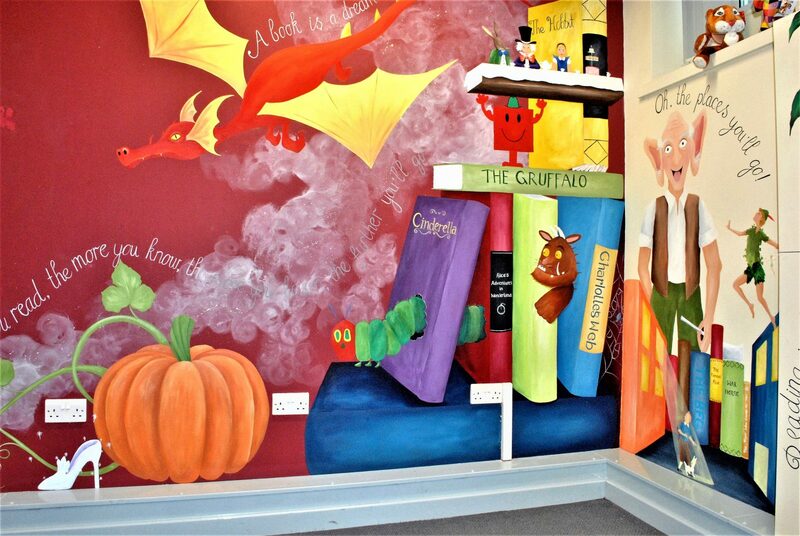 Helen’s creative and original mural designs will inspire your children, staff and parents alike! 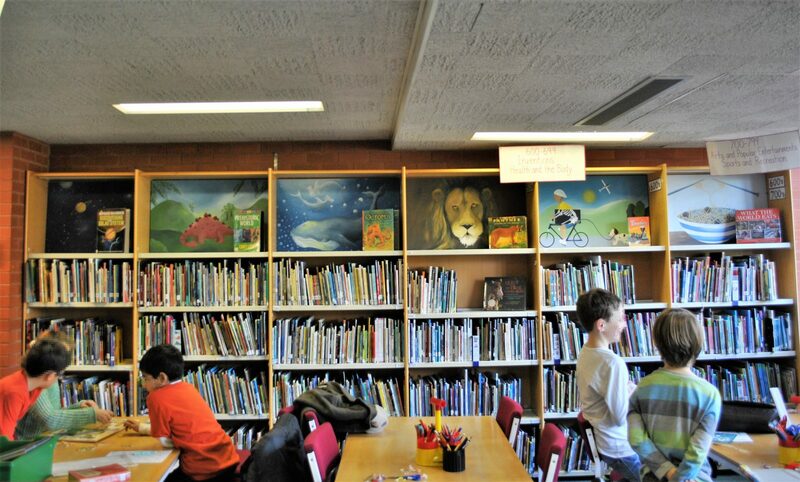 The school environment is probably one of the most important ways of stimulating your children. Many schools that Helen has worked with have a core set of values. 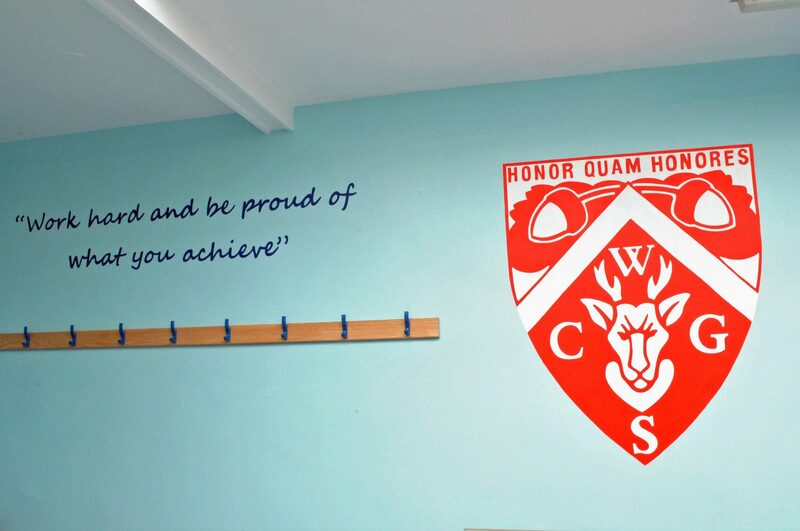 Helen can design a bespoke mural to represent your school’s unique set of values. 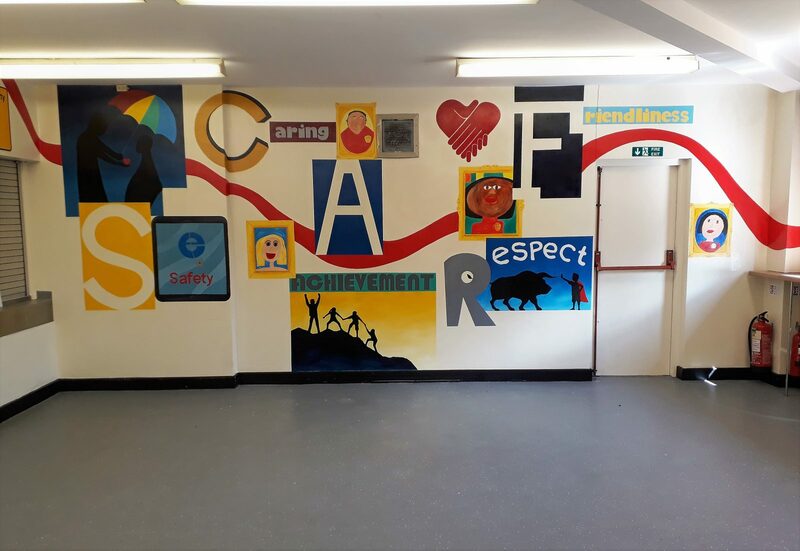 A hand painted mural is a wonderful way to represent these school values in a visual manner, consequently helping your children to understand the values that your school upholds. 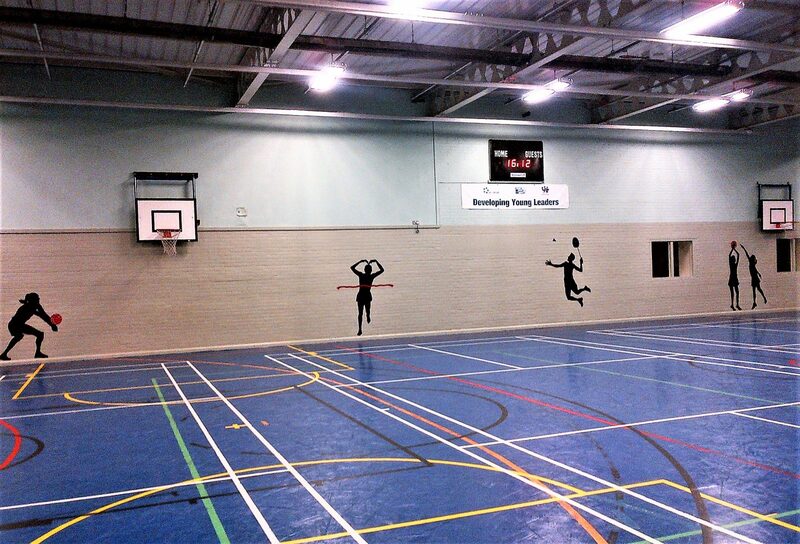 Furthermore, the mural will help inspire your pupils every day. Helen understands the importance of delivering her projects on time and on budget. 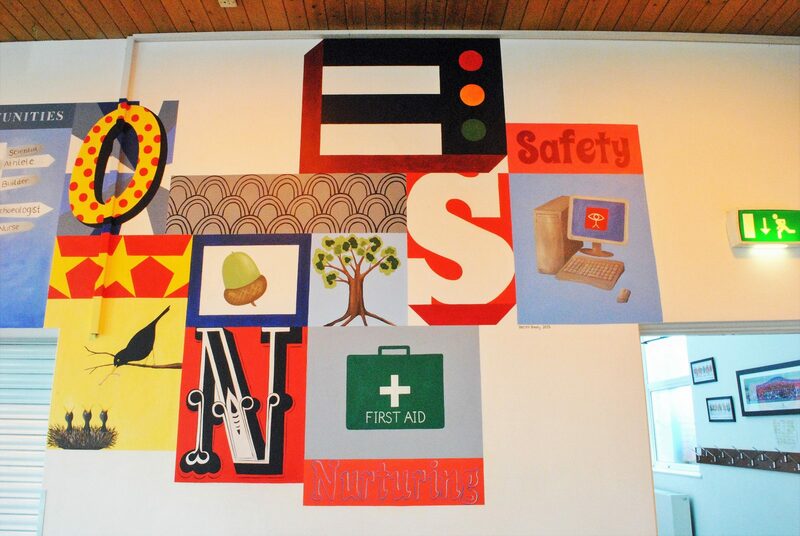 She has extensive experience working on school murals both, by herself and also working with groups of children. Helen is happy to collaborate with your school staff and pupils to create a special piece of art of which your school can be proud.